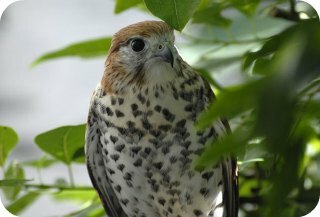 At one point in time the Mauritius kestrel was considered the rarest bird in the world and strong fears that the species was almost a near extinction prevailed. In 1974 only four individuals of the sole remaining raptor endemic to Mauritius was in the wild. Out of this tiny population one was a breeding female! Massive deforestation and clearing of land for agriculture dramatically constricted the birds’ natural habitat. To prevent the spreading of malaria among the human population, extensive spraying of DDT was used as vector control in the 1950s and 1960s. This pesticide found its way to the kestrels’ body cells through their contaminated prey. Subsequently, the eggs laid were so fragile that they cracked during incubation. Thanks to massive and sustained conservation efforts, the population size has now reached to about 800 individuals. Saving the species from the brink of extinction is considered a lollapalooza of any raptor conservation biology. The kestrel was downlisted from Critically Endangered to Endangered in 1994, and then to Vulnerable in 2000 by the IUCN. Intensive conservation efforts were halted in 2002 after noticeable signs that the species was recovering. Monitoring of the birds’ population at Bambous Mountains, however, continued and nestlings were ringed each season. 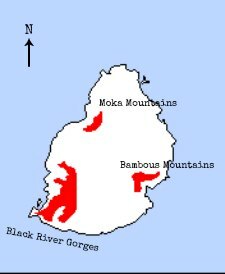 Concerns about a probable decline in the population size led the Mauritian Wildlife Foundation to recommence monitoring at the at Black River Gorges in 2007.